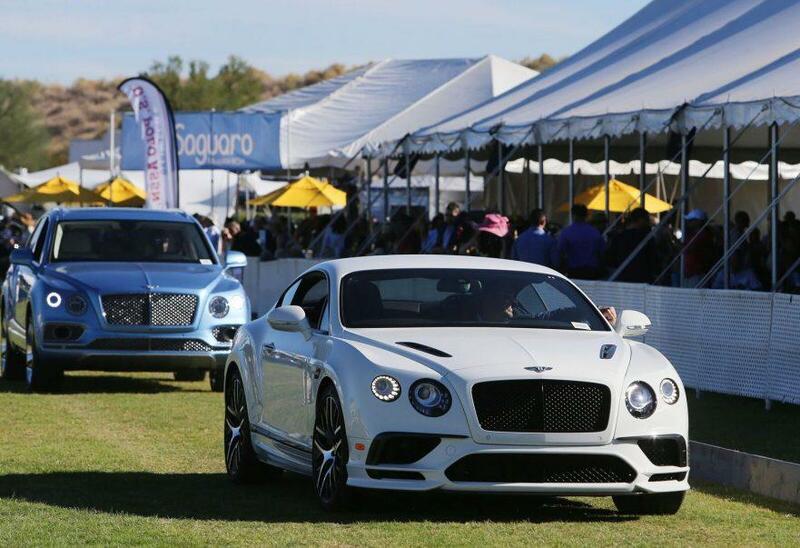 The Eighth Annual Bentley Scottsdale Polo Championships is three and a half months out and we’re gearing up with more horsepower than ever before! From cars, to boats, to polo ponies, there’s no shortage of power at the 2018 Polo Party. Annual favorites will be returning including car displays from Bentley Scottsdale, Barrett-Jackson Collector Car Auction, Highline Autos, Sanderson Lincoln, Earnhardt North Scottsdale Hyundai, Ferrari Club of America, Arizona Lamborghini Club, Scottsdale Corvette Club and Concours In The Hills. Want to join in on the horsepower displays? Sideline Parking and Twilight Tailgating are still available but going fast! Get your spots here. For more information on displaying, contact us here. New to 2018 will be the debut of the Apex Cup, courtesy of the landmark new Apex Motor Club in Maricopa, Arizona; a country club for car enthusiasts. Check them out here. The Apex Cup will recognize the top cars displayed on site. Fan favorite Arabians will be returning plus some new additions that highlight the amazing thoroughbreds on site from polo horses to competition ponies. Follow our social media channels to keep an eye out for new elements. Tickets in all categories are on sale now. General Admission provides access to all GA tents such as the Riot House Tent by Stella Artois, Mark-Taylor Residential Luxury Living Room, Dierks Bentley’s Whiskey Row and many others, all four polo matches, car displays and other event elements starting at just $25.